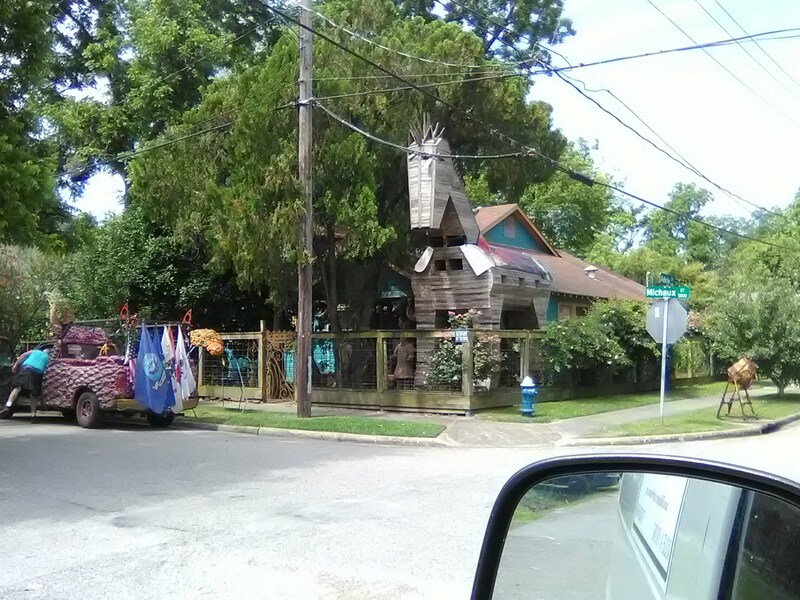 View of the Day – Funky Artsy Inner City Houston! My colleagues like to post pics of the view from where they were working. You know – big city skylines, tranquil beaches, fancy marinas. Well, I don’t think anything could beat my view of the day today…Here in inner city Houston, we revere the quirky! You are looking at an Art Car, and Art House, and an Art Trojan Horse … And, yes, that horse is motorized and participates every spring in the Art Car Parade.